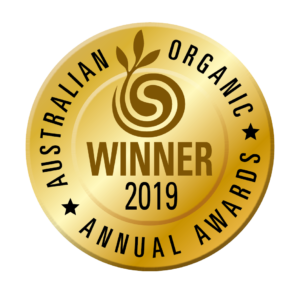 We are celebrating with a glass of Johann Georg Shiraz after the winning the prestigious Certified Organic Wine Business of the Year as well as the Certified Organic Alcoholic Beverage of the Year for the Johann Georg Shiraz at the 2019 Australian Organic Awards for Excellence. 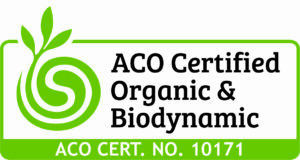 The 5th Annual Australian Organic Awards for Excellence were hosted in Canberra at Pialligo Estate Glasshouse by leading industry group Australian Organic, celebrating the outstanding and innovative contributions members of the nation’s organic industry have made over the past year, showcasing leading products, businesses and individuals. 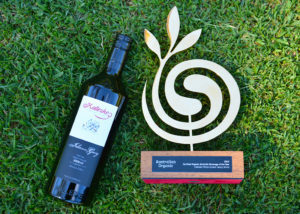 Receiving the two awards at the Annual Australian Organic Awards for Excellence has topped off a very successful year for Kalleske after already being awarded the Winestate Australian and New Zealand Organic Wine of the Year for the 2017 Clarry’s GSM with the 2016 Greenock Shiraz being awarded the International Bio Wine of the Year at the China Wine and Spirit Awards. 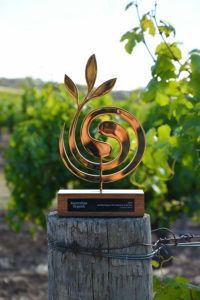 Kalleske has also recently been acknowledged as a finalist for Sustainable Wine Tourism Practices at the Great Wine Capital Best of Wine Tourism Awards and a finalist for Best Cellar Door at the 2018 South Australian Tourism Awards.